I like to think I’m a pretty low-maintenance person when it comes to beauty. I barely know how to match my foundation and I still don’t understand how to properly layer skin care. But due to my job, or should I say jobs, I’ve had to figure out a beauty routine that works for my oily, acne-prone skin, and, for me, it has to be affordable. I’m a writer, reporter, on-air host, and blogger. Sometimes I work from home (in my vintage robe). Other days I’m caked in makeup because I’m on set, or I’m at a cafe with semi-filled in brows and a dab of concealer. Today was a mixture of all of the above. 7 a.m. — Time to start the day with an easy routine. Easy but effective is my morning motto. A tried and true facial cleanser I’ve used is the Neutrogena Oil-Free Acne Wash ($6.30). After cleansing, I’ll soak a cotton pad with the Lily of the Desert Aloe Vera Gel ($3.99), and I use it as a toner. I like to keep the gel in my fridge because it feels super refreshing. I top that off with the Vichy Radiance Boosting Serum ($39). I used this throughout winter (as you can see by the low amount of product) and it kept my skin looking vibrant. Finally, it’s time to apply the Clarins Multi-Protection Broad Spectrum Sunscreen ($43). Over the past two or three years, I’ve finally started applying sunscreen to my face and body every single day. 8 a.m. — Time to head to a nearby coffee shop. I haven’t gotten fully dressed yet since I’m only headed to my local coffee shop, MacDonough Cafe in N.Y.C., to finish up an assignment and answer a few emails. 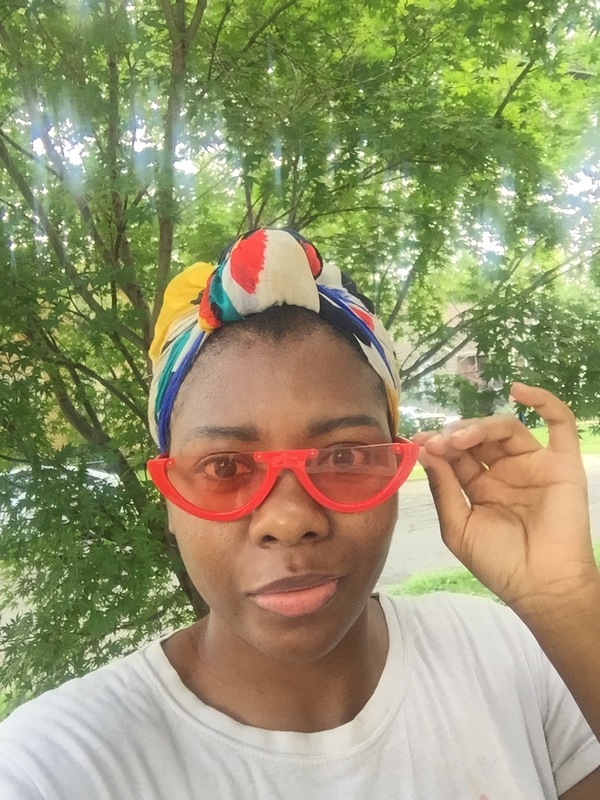 I washed and twisted my hair last night, but it’s not fully dry, so I’m just rocking a colorful scarf and shades. I did fill in my brows a bit, just because. 11:30 a.m. — It’s not even noon, but the second phase of my workday begins. After smashing a few assignments, it’s time to take my writer hat off and get into host and blogger mode. Today’s look is way more involved than usual because I have an audition and a few videos to record. I start with my brows. I’ve been loving the NYX Eyebrow Gel ($6.97). I sweat a lot, but this stuff really is sweatproof! Before applying my Maybelline Better Skin Foundation ($6.46), I spritz my brush with a bit of Skindinavia Makeup Primer Spray ($35). I also set my makeup with this. 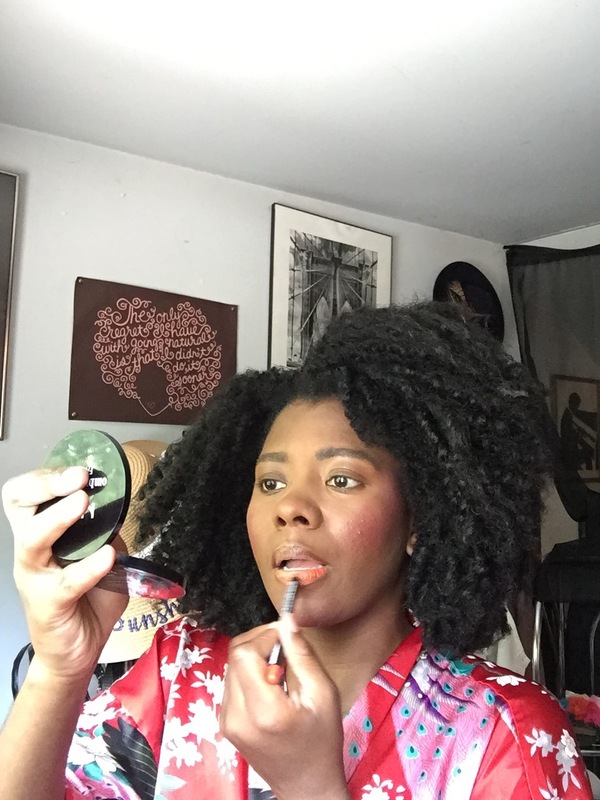 Beauty supply stores aren’t hard to find in my neighborhood and they all carry L.A. Girl’s HD Pro Concealer ($5), which I use to highlight under my eyes. Everything gets set with my NYX Studio Finishing Powder ($6.99) and then I apply a bit of the NYX Ombré Blush in Insta Flame ($9.89). 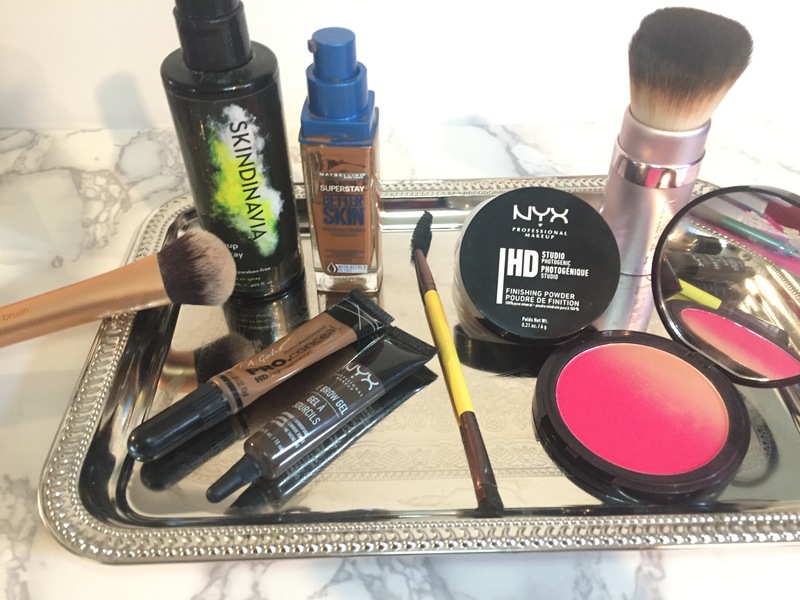 I promise I’m not on the NYX payroll, but their products work for me and they’re perfect for my frugal freelance budget. Noon — My look is starting to come together and I’m almost ready to go out, again. Because I’ll be taping an audition, I went heavier on the blush than I normally would. I picked up a tangerine-colored lip liner from the 99 cent store and I’m in love with this hue. It will pop on camera without being too bold. 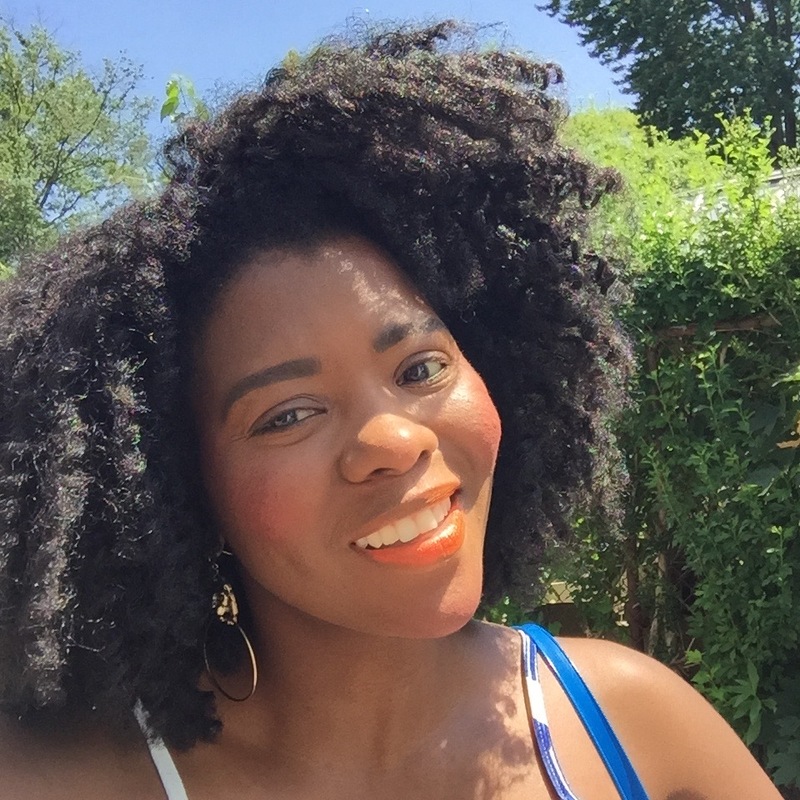 I also untwisted my hair and fluffed it until I was happy with the volume. One of my personal branding goals has included building my Instagram presence, so I filmed a few IGTV videos. Might as well make use of this made-up face! 3 p.m. — My audition went well. It’s ridiculously hot outside today. I got a bit oily, but nothing my powder couldn’t rectify. And even though my hair poofed, I like to think the bigger, the better. 4:30 p.m. — Impromptu happy hour drinks. My friend texts asking if I want to head to our fave bar in Brooklyn, the Bed Vyne Brew, for a few drinks. After what felt like a good audition, I said yep! But before hopping back on the train, I made my way to a hotel’s restroom and freshened up. 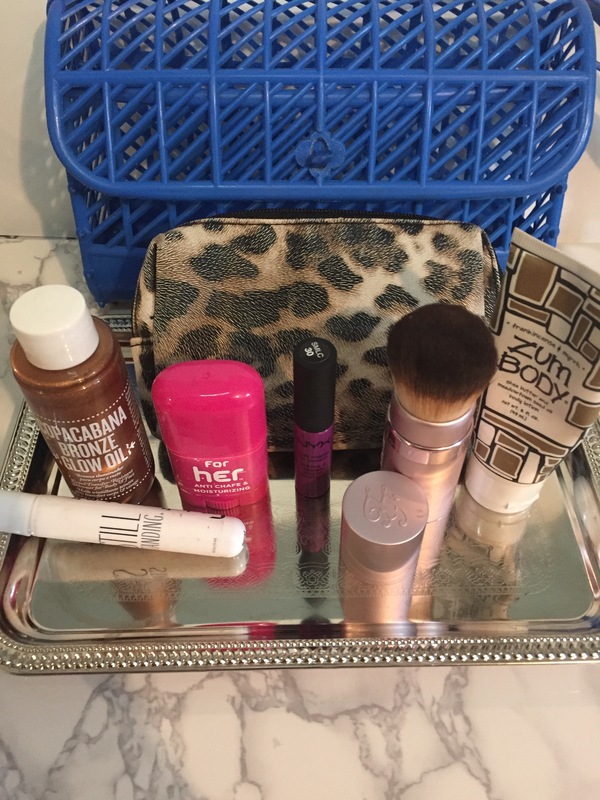 I already packed a few items that have become my go-to’s. I meant to add a bit of the Sol de Janeiro Glow Oil ($35) to my shoulders before my audition, but I forgot, so I add a few drops now for a sun-kissed look. Since I know my friend and I will probably be standing at the bar on the outside deck, I spray my feet with Still Standing Spray ($19.99). And my inner thighs are screaming for a few swipes of Body Glide’s For Her Anti-Chafing Stick ($7.49). 8 p.m. — Why am I so tired? Though the night is still early, I’m pretty exhausted and the glasses of rosé I drank at the bar didn’t help. 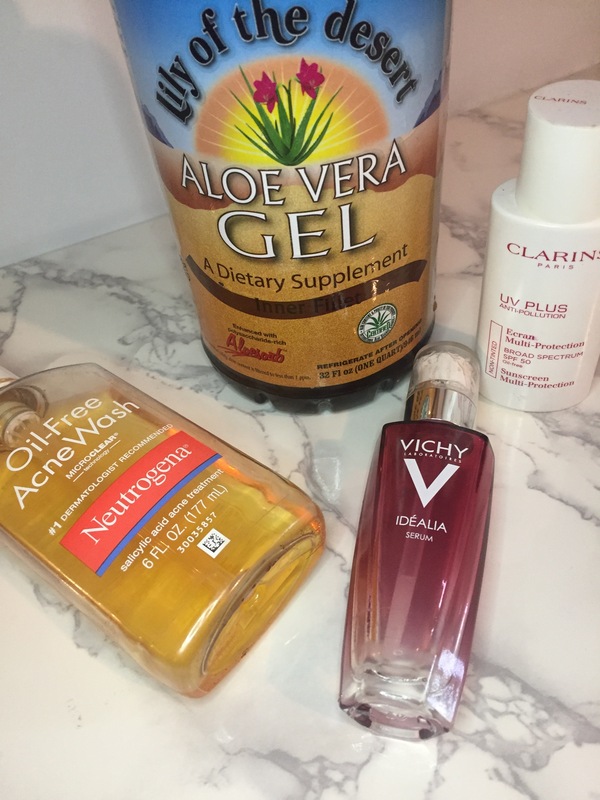 I start my nighttime routine, which is way more involved than the morning one. After using an exfoliating glove (they’re always at Marshalls or TJ Maxx for less than $3), I start moisturizing with Dr. Teal’s Deep Marine Sea Kelp Body Wash ($4.87). While my face is super oily, my body is the exact opposite. I have keratosis pilaris, which causes annoying little red bumps on my legs, so for the past few weeks, I’ve been using AmLactin Rapid Relief Lotion ($15.99). The lactic acid is supposed to reduce the appearance of bumpiness. 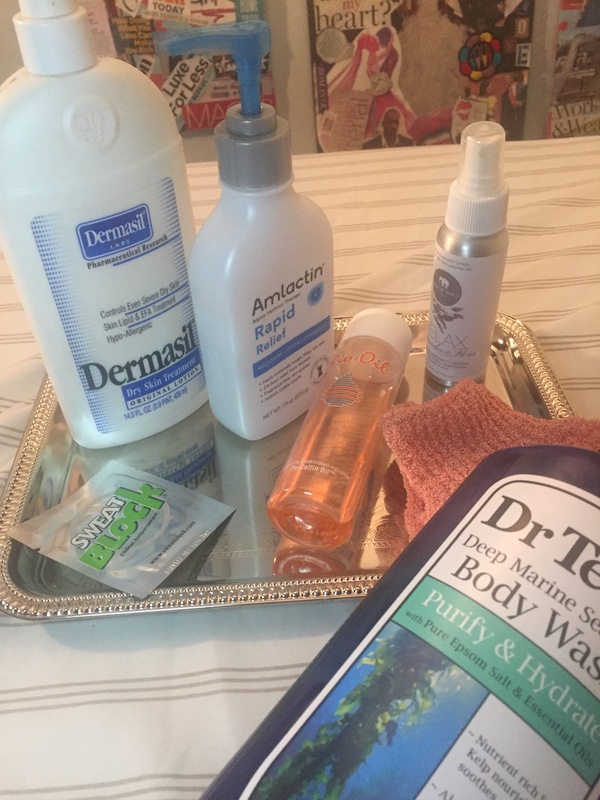 For the rest of my body, I use Dermasil (it seems to be sold out online, but I always find it in drugstores) and the Bio Oil ($11.99) to treat recent mosquito bites that left dark marks. Once every week, I use my Sweat Block Antiperspirant Wipes ($18.99). 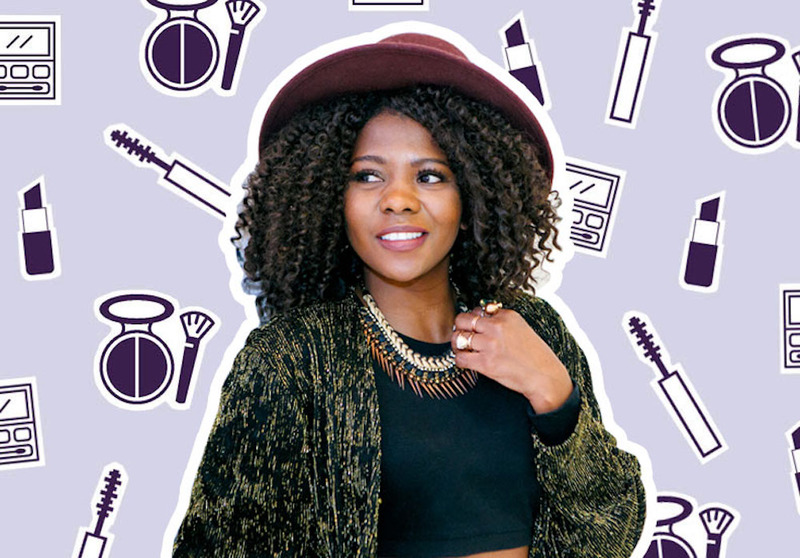 8:45 p.m. — Time to unwind, whip out the heavy-hitter beauty products, and prep for the next day. Now that my body is all soft and supple, it’s time to work on my face. If there’s one thing I covet, it’s full, thick brows, so I started using LashFood’s Browfood Eyebrow Enhancer ($88). I’m on week two and so far, so great. 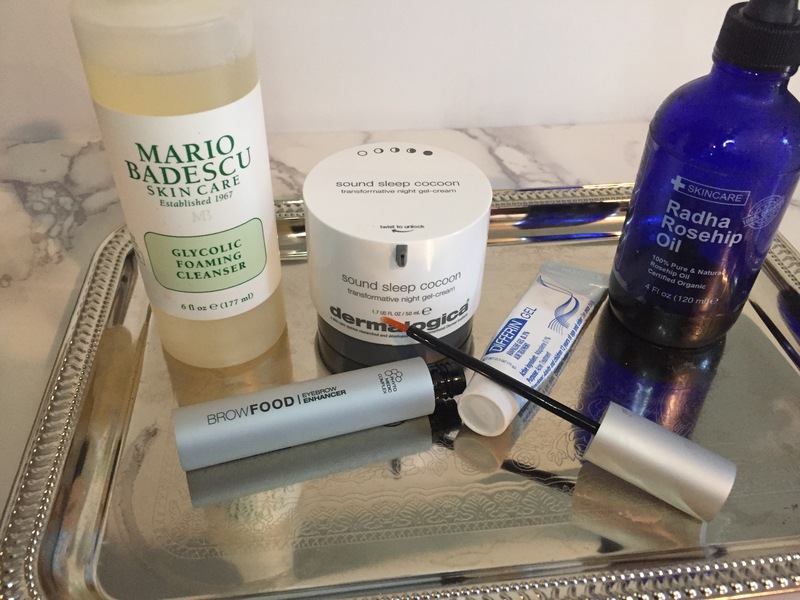 Next, I use the Mario Badescu’s Glycolic Foaming Cleanser ($16), which has helped with the texture of my skin. I add a few drops of the Radha Rosehip Oil ($15.95) to my cheeks and it seems to be working to eradicate my dark marks. My new night cream has been Dermalogica’s Sound Sleep Cocoon ($80). This is far from cheap, but so worth it. On this night, I’m also using a retinoid like Differin Acne Treatment Gel ($11.19) to keep my blemishes under control. I used this stuff back in high school and I’m so happy that it’s now available over-the-counter without a prescription. The product on its own can feel a little irritating to my skin, so I use a light layer of it over the Dermalogica. Without fail, my skin always feels soft and looks radiant the next morning. It’s time to catch up on my newfound obsession with the show Claws, plan tomorrow’s activities, and most likely fall asleep on the couch.